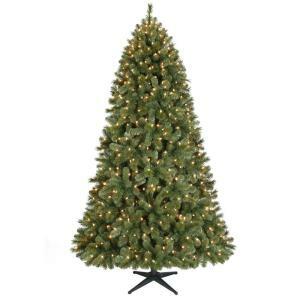 7.5 ft. Pre-Lit Wesley Pine Artificial Christmas Tree with Clear Lights PPPA, Avi Depot=Much More Value For Your Money! The 7-1/2 ft. Pre-Lit Wesley Pine with Clear Lights features 1,400 tips for a full-looking tree with plenty of room to hang ornaments. The 650 lights help add a warm and festive holiday feel to your home, and the 8-1/2 ft. long power cord allows for optimal tree placement.